Keeping track of vaccinations can help determine when a booster is due. 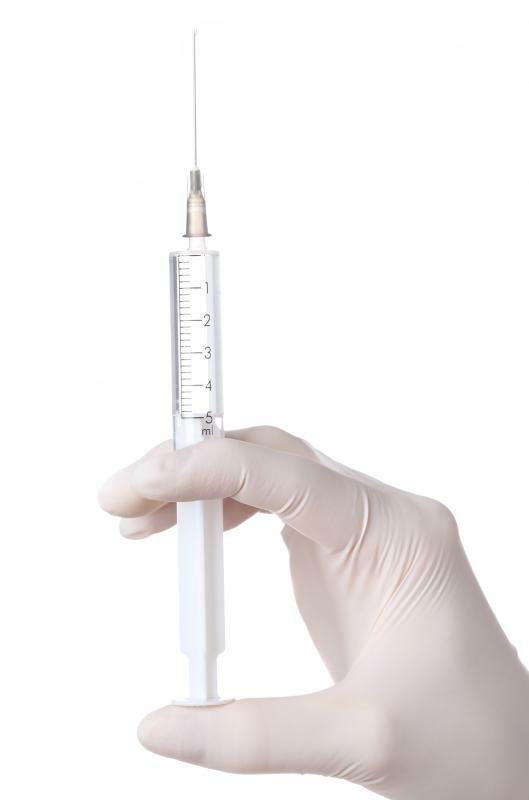 A syringe is used to inject some booster doses. Vaccines are often given in booster doses spread over time in order to create an immune response in the body. A booster dose is an additional administration of a vaccine to make it fully effective or maintain the patient’s immunity. Some vaccines need to be given in a series because a single shot is not sufficient. With others, the body gradually loses immunity over time if it is not exposed to the antigen, and a booster is required essentially as a sort of reminder to the immune system. 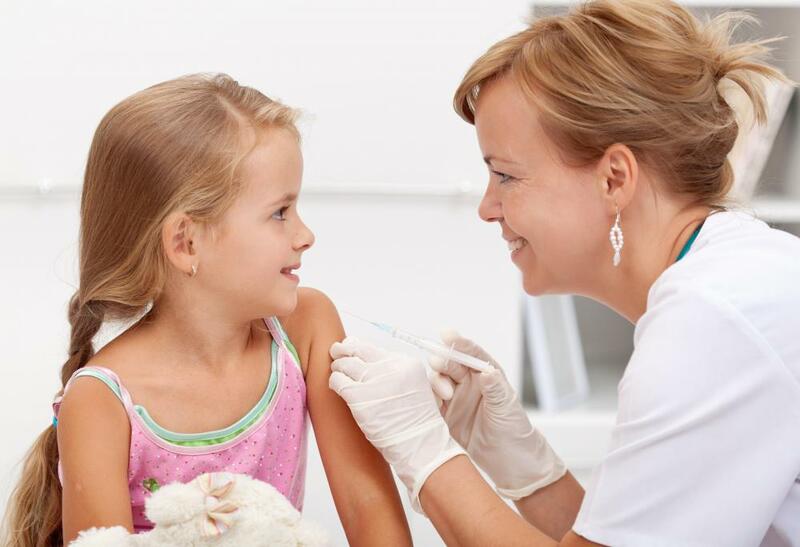 Medical organizations maintain careful vaccine and booster dose schedules with recommendations and it is advisable to follow them for vaccines to be as effective as possible. Some booster doses are given after a few weeks, while others may be given months or years after the initial vaccination. The variation in vaccine scheduling is a result of the different proteins involved in the production of vaccines. Each interacts differently with the immune system, and the body may need varying amounts of exposure to the carefully processed antigen to develop immunity. When a vaccine is recommended in a series, patients must receive the whole series to be effectively immunized. If they miss the booster doses or schedule them too far apart, the vaccine may not work. A doctor can request a blood test to determine if the patient’s immune system is sufficiently sensitized. If the results are negative, another booster or a repeat of the series may be needed. When possible, physicians may recommend giving vaccines in combination so patients can receive several at one appointment. In other cases, people may need a booster shot after an initial vaccine has started to wear off. A common example is tetanus. About 10 years after people receive the initial vaccine, they will need a booster to ensure continued protection against the disease. Boosters can also be advised after exposure to an antigen to add protection; someone who steps on a nail and hasn’t had a tetanus vaccine recently, for example, could get a booster. Patients who aren’t sure about when their boosters are due can ask for assistance. Doctors maintain vaccination records on their patients and can check them to determine which boosters may be required. It is also possible to request a copy of the vaccination record for future reference. 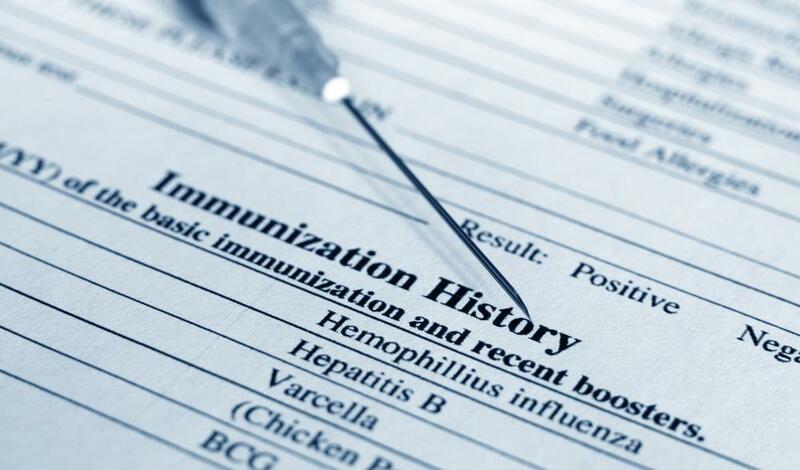 If vaccines are missing from the record, the patient may need a blood test or a booster dose to guarantee protection, even if patients think they were vaccinated for the disease in question. What Is a Tetanus Booster? What Are the Different Uses for Low Dose Naltrexone? How do I Choose the Best Collagen Booster? @Markerrag -- That doctor's office isn't always the best source for backup records. Doctors offices split up, physicians retire and all sorts of things can happen that could cause those records to be lost. Keep your immunization records in a safe place. @Logicfest -- Don't doctors' offices keep those records? If a parent loses an immunization record, why not just call the original doctor and get a copy? Some of those shots are given out by state health departments and I'm willing to bet they would have records, too. That's not to say you shouldn't keep up with immunization records the best you can, but you will always have a backup if you do happen to lose them. That should bring some comfort at least. This all points out why it is very important to keep your mitts on your kids' shot records. My child had to have some booster shots before school started this year and we had a hard time finding those records because we have moved a couple of times since he has his original series of shots. Had we not found those records, he would have had to have a whole, new series of shots. That would be painful and I don't know if that would be good for him.